Are you looking for a new self-directed IRA custodian or administrator? Perhaps you are already using one and are not happy with their performance or service. 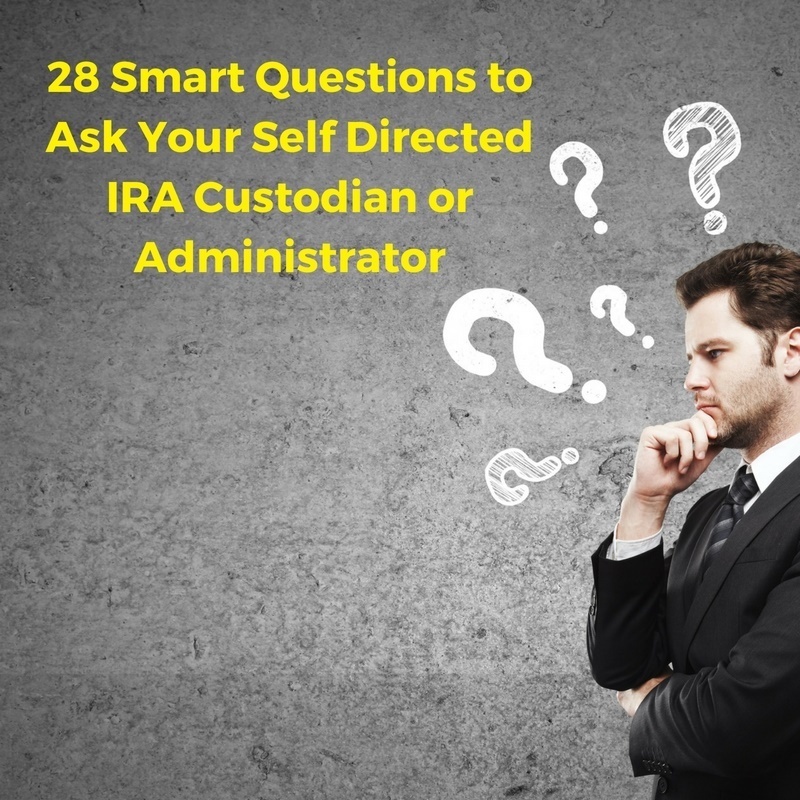 Whatever your reason may be, this report should provide you with a better understanding of self-directed IRA custodians and help you assess which one is the best fit for your investment needs. 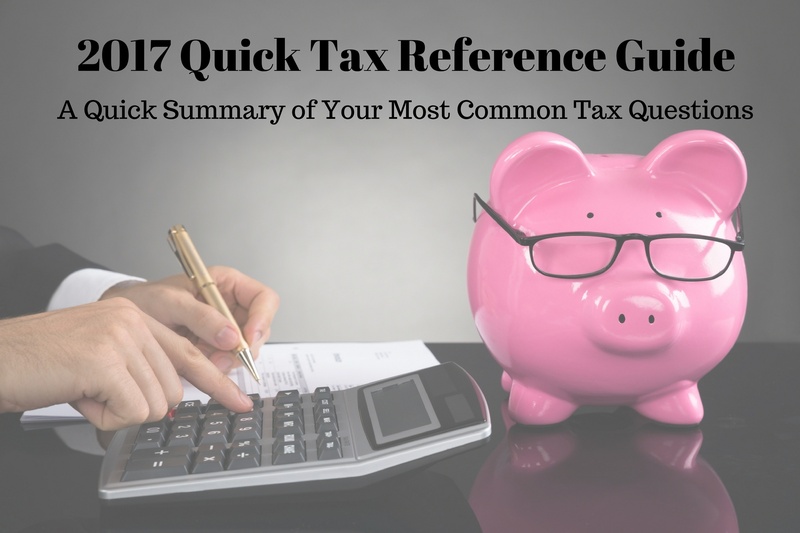 This is our 2017 Tax Reference Guide. We created it to make your life easier. Each year we collect this data so you don’t have to. 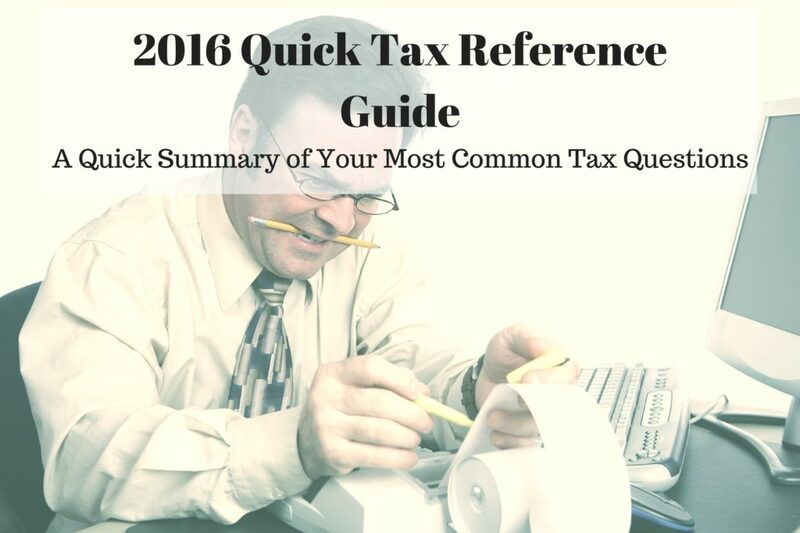 You might want to bookmark this page for future use. 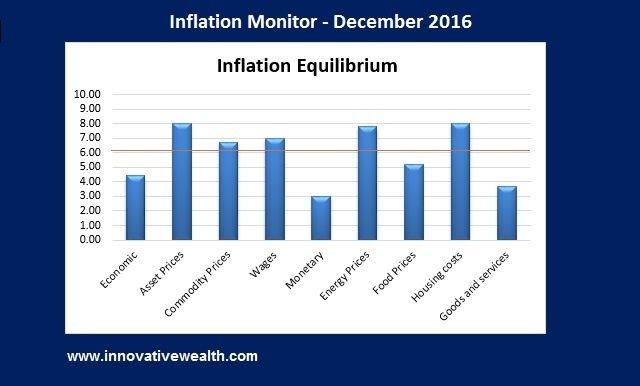 We have a lot to cover this month in the Inflation Monitor – December 2016. This is the end of 2016. It is a time for reflection for the year past and for pontificating the future. We all know no one can predict the future. And so much is up in the air with the recent populous trend changes, let’s focus on last year. Let’s start with the US presidential elections. Donald Trump will be our next president (#45) in the US. Some people are happy, and others are sad. Regardless, we have a huge potential shift in the US with the results of the presidential election finalized. The first thing to address is that Trump may or may not pursue the same policies he campaigned on. Every presidential candidate has their platform, but not all of the promises actually happen. Let’s put these in the wait and see category up for discussion after his first 100 days. He will have about 100 days to prove his worth and keep the positive (market-related) momentum going. While I have seen a lot of positive signs since Trump was elected, the US is overdue for a recession. The S&P 500 had a string of 5 quarters in a row of declining earnings. Apparently, no one noticed. I would consider this a recession, but the markets did not. The markets are always right regardless of what I think. It will be interesting to see what happens once the “new president hangover” wears off. You might guess the legal profession. I have never met an attorney who wants to give an estimate on their services, but they do tell you the hourly rate, so at least you have some sort of baseline to compare with other attorneys. It’s not the legal profession. “Wealth” — can be defined as assets or resources which are in excess of present or future expected expenses. A more simple explanation is that wealth is made up of assets which exceed what will be needed for this generation, and could be passed onto the next one. Even though a family’s assets may not be needed for this generation, proper stewardship is required to make sure those assets will last for future generations. The main considerations in protecting wealth for future generations are that the assets must be sustainable over several generations, resistant to inflation, and resistant to political and economic turmoil. It is possible to invest in certain assets that can fortify your wealth against some of these external risks. However, there is a much greater risk of future generations not being good stewards of the sustainable wealth. Whether you are the first generation to create generational wealth, or whether you are researching how to sustain the wealth you have inherited, this list will give you some guidance. The Wall Street mentality is the art of the possible, where optimism rules the day. While bears may be intellectually correct, they are rarely proven so, and they are never invited to parties. Wall Street is made up of creative people who can find ways to turn a little money into a lot of money: mathematicians, rocket scientists, astrophysicists, and people who can sell ice cubes to Eskimos. Youth, ego and arrogance quickly turns wealth into wisdom and experience. Wisdom and experience is transmuted back into gold, cash, and reputation… if you can wait long enough. The financial service industry has a notorious problem which very few people outside the industry are aware of. This problem is generally referred to as career risk. 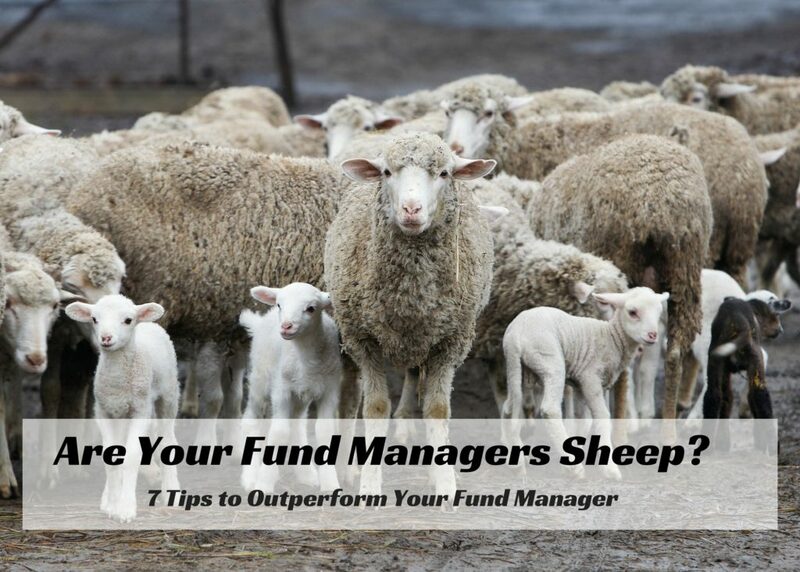 Now, most of you reading this might think, “Who cares if some overpaid fund manager gets fired for not performing well enough?” While having your fund manager keep his job might not be high on your holiday wish list, you should realize that it is an enormous problem at Wall street firms and that it is causing many funds to underperform their potential. Happy October! We are in the heat of the presidential election cycle which thankfully will end in early November. We have the two least liked candidates fighting for control over the POTUS position. We have already had three debates… If you could call it that. After watching the first debate… On to brighter topics… Deutsche Bank has been in real trouble lately. The kind of trouble that Bear Stearns, Lehman Brothers, and many other US financial institutions were in in 2008. High leverage, holding bonds of questionable quality, and institutional investors starting to pull their money and run for the doors. If you are familiar with the concept of yelling fire in the theater, a bank run is very similar. 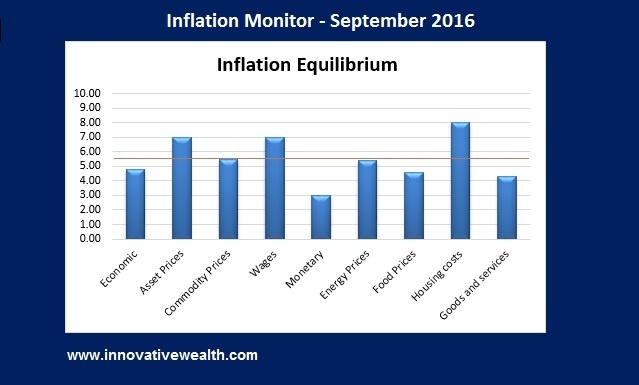 We are back… After a summer of great weather, we have returned with the September 2016 edition of the Inflation Monitor. I want to apologize to all our readers for not writing an August edition, but if you were paying attention to the global economy in August (and you might be the only one), then you will realize that virtually nothing happened of note. Sure prices changed and economic numbers moved, but if you look at the stock markets, no one noticed and the volume shows that very few people were even working. However, kids are going back to school, Wall Street traders are back from vacation, so should we expect to see more activity? We will soon find out. If you start to notice the obvious elephant (or donkey) in the room, the US presidential elections are coming up and the ensuing fireworks will most likely be moving the markets. In July, I watched an interesting assessment of the presidential election presented by Larry Lindsey and it provided a few scenarios of outcomes based on certain events happening. While I don’t have the slides, it was truly astounding. I’ll spare you the details except to point out two notable items that I took away from the event…. After more than 75 years John D. Rockefeller is still considered the richest man in history when you adjust for inflation. According to the New York Times as of 2007, his net worth reached $192 Billion. Compare this with Bill Gates whose fortune is only $82 Billion. This shows how enormous the fortune of John D Rockefeller actually was. Only Commodore Vanderbilt and John Astor have even come close with $143 Billion and $116 Billion. Rockefeller at one time controlled 90% of the nation’s oil and his fortune was approximately 1.5% of the nation’s economy. That is legacy wealth. Wealth that is hard to lose of destroy. Even though all his wealth was made from oil, he still attributes major fortunes being made in land or real estate. That is a powerful statement. What I am going to discuss here is one of the reasons why real estate is able to create legacy wealth. Wealth that can last for many generations if it is managed properly. Interestingly enough this is also one of the least understood benefits of owning real estate. This post is the second part of a four part series about real estate. The last post, These Top 7 Powerful Tools Can Create Legacy Wealth from Real Estate, briefly touches on the importance of inflation to your real estate assets. I plan on going into much more depth this week. Real estate is one of my favorite asset classes. Here is why. In the prior post of this series I touched on a few of the reasons that real estate is such a favorable asset to invest in. You can reduce the debt in real terms over time. Just one of these alone would be a good enough reason to invest in this asset class, but all 7 make it especially powerful. With exception of the tax benefits and the limited supply of real estate, all of the other benefits rely on inflation to enhance the performance of real estate over time. While I will discuss these in more detail, let’s first discuss what inflation is and how it works. * The Inflation Equilibrium is a quick summary of the whole data series of the inflation monitor. If you don’t like statistics, this is the chart for you. I hope you had a happy Independence Day. A day that is in remembrance of the US’ independence from Britan. How ironic that only 11 days prior to our independence day, the UK declared its independence from the EU. If you don’t know about the Brexit, you must have been living in the woods for the past month. Everyone has been discussing this monumental vote with varying degrees of opinion as to what it could mean. I have not wanted to discuss it much prior to the vote, because despite what you hear on TV, no one really knows what will happen. Sure there are plenty of “smart” people who have an opinion about what will happen. Some think the world will end, or we will spiral into WW3, others think it is a great thing for the UK. Let me rain on the parade of all these “smart” people. No one knows what will happen. There are too many variables to count and although there are some very important issues that may come up due to this vote, this has never happened before, so we have no reference point of what could happen. Many people have some relevant thoughts on the issue, but in terms of what will happen, it is mostly political, so unless you know the minds of all the various politicians involved with the UK, EU, and each individual country, you cannot make a thoughtful prediction as to the outcome. Here are some of the relevant points you should consider. If you are older than 30 years old, then you are probably scratching your head about negative interest rates. You have spent most of your life under the assumption that positive inflation is normal. You expect it. You probably treat it as a rule of nature rather than an assumption. Well, you are probably surprised to see negative interest rates around the world. While we have not yet seen them here in the US, it is only a matter of time till we see them here. We have seen a strong push from the central banks around the world into negative interest rate territory. On June 5, 2014, the ECB introduced its negative interest rate policy (NIRP). On January 29, 2016, Japan introduced their version of NIRP. As of March 2016, the ECB dropped their deposit facility rate to -0.40. They are also started purchasing investment grade euro-denominated corporate debt. On June 14, 2016, Germany’s 10-year bund fell below zero to -0.033%. This is historic because it has never happened before. As of now Switzerland, Japan, and Germany, all have 10 years sovereign bonds that are yielding negative interest rates. Where will this madness end? In case you didn’t think that was crazy, there’s more. * The Inflation Equilibrium is a quick summary for the whole data series of the inflation monitor. If you don’t like statistics, this is the chart for you. However, this topic is important because it is one of the factors determining inflation. In the US as in many of the developed economies, population is not growing as fast as it needs to in order to sustain the current rate of growth. Currently the US has a population growth rate at below 1% ( 0.77%). Countries like Japan, Russia, China, and eastern Europe have shrinking populations. Slow to negative population growth economies have a significant deflationary force to overcome. This deflationary force cannot be simply determined by looking at population growth, since it also depends on the age distribution of the workforce and other factors, but it does give you a general sense of which countries have some serious headwinds to overcome if they want growth via inflation. This is the 3rd in a series of 4 posts about investing in real estate. The last post, Inflation – The Secret To Building Wealth in Real Estate, is about how inflation is essential to building wealth via your real estate investments. While most people subconsciously understand that real estate has all of the features listed in that post, they may not be sure why real estate has those features. 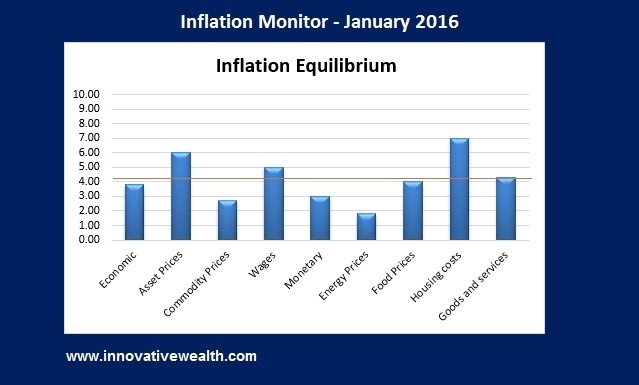 The key is inflation. This week I will be discussing the other side of the coin, and what happens when there isn’t inflation to make your real estate the wealth building tool that it has been for over 50 years. This week I will be discussing deflation and how it would affect your real estate investments. 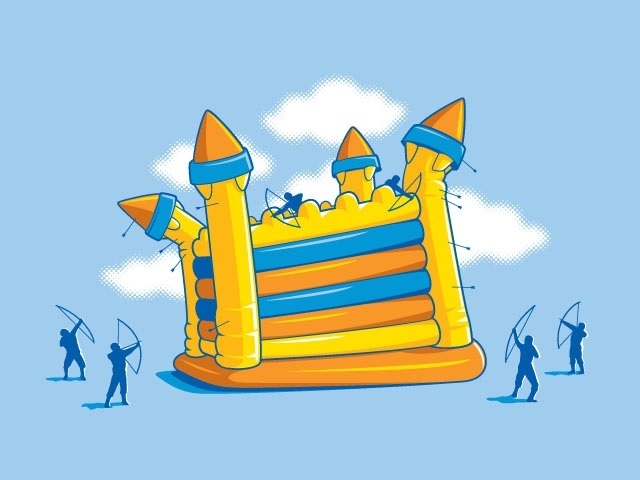 Many notable economists have made deflation the economic boogieman. They have claimed that it is the worst possible outcome in an economy. When you hear someone talking about deflation, it is highly likely that Japan will also be mentioned in the same sentence. Deflation is rare in the global economies of today. This is primarily because central banks around the world have engaged in a campaign to create a consistent inflationary environment for their own economies. This has worked for a few decades without hyper-inflation or persistent deflation in developed economies. Except for Japan. Japan is one notable example of deflation which has taken hold in an economy and created a deflationary spiral. This is the essence of what economists fear. While this may sound scary, it isn’t, or doesn’t have to be. This week I will be discussing how deflation affects real estate, and why you should understand this if you want to protect your wealth. April Fool’s… every year people use this day to play practical jokes on others. This year it was the Fed’s turn to make fools of us all. Janet Yellen made a strong point early in her tenure as Fed Chair that she believed in more transparency with communications to the public about Fed policy. She must have a new years resolution this year that we are not aware of, because her transparency has taken a back seat to settling the market gyrations. The Fed has always claimed that their decisions are not driven by the stock market, however their recent actions might suggest otherwise. Marshall Field was an American Entrepreneur who lived in the 1800’s. His quote was obviously made in an era before tech stocks, hedge funds and excess money printing by the Federal Reserve. However the principal of owning real estate to become wealthy still holds true. Real Estate is arguably the best asset class if you want to build enormous wealth. While you may have heard of real estate investors such as Donald Trump, or Sam Zell, there are countless more who are relatively unknown and are just as wealthy. Many of these investors prefer to live in relative obscurity. What I want to show you are the 7 powerful techniques that these real estate tycoons were able to use to build their enormous wealth. While most of these techniques apply to both real estate investors and homeowners, there are more benefits from owing real estate as an investor rather than a home owner. Real estate is one of the few assets where you can use enormous amounts of leverage to own the asset, and banks will happily lend it to you. 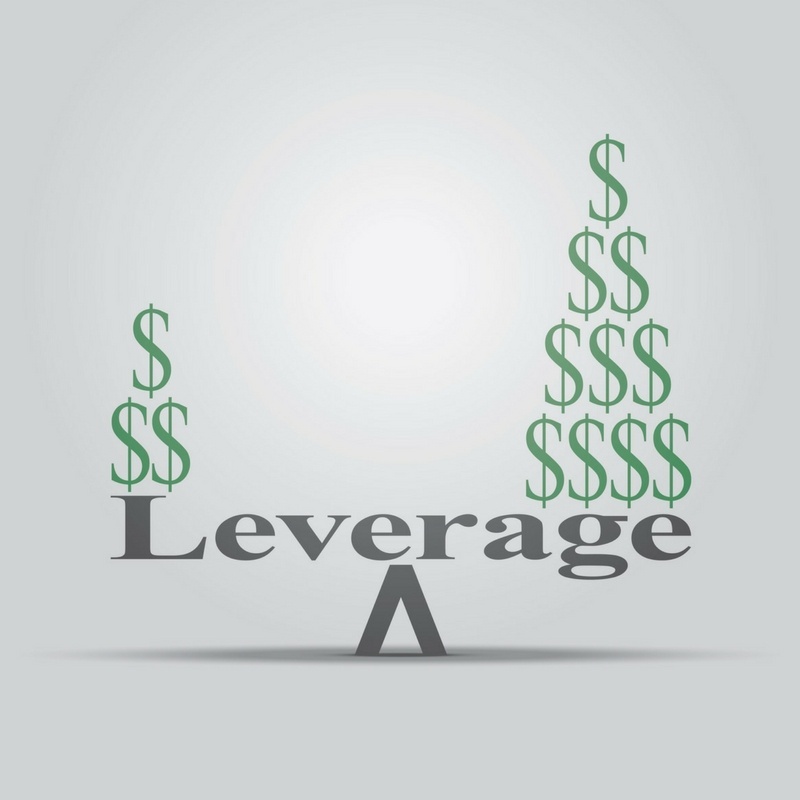 Leverage is a way to amplify the returns you receive on that asset, in both directions. 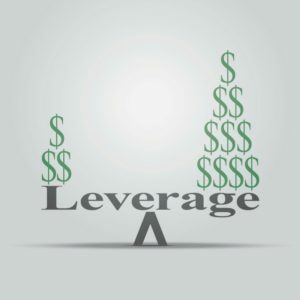 Leverage is both beneficial and dangerous, so make sure that leverage is working in your favor. The first quarter of 2016 has been an interesting one. It started off with a significant bout of volatility and risk-off investing. Then after the stock market bottomed in mid-January and re-tested those levels a few weeks later, it has taken off like a rocket. It was almost as if the global economic troubles didn’t exist anymore. Unfortunately they do… It was almost as if someone (the Fed) waved their magic wand and all the problems of the world just disappeared. Magic is a wonderful thing. Easter is coming soon. Kids are eagerly awaiting the day where they get chocolate eggs and toys from the magical bunny. What a wonderful thing to believe in magic and illusion. While many of you don’t believe in the Easter bunny, you probably believe in magic. Earlier this year the markets swooned based on poor economic data, then the Fed told a magical story of how they are data dependent (but only when they want to be) and lowered rate hike expectations and without further consideration the market believed it and started to rise. Spoiler Alert for those of you who still believe in the Easter bunny, he isn’t real, and neither is this stock market rally. The Fed’s stated target of four interest rate hikes in 2016 communicated to the public that US economic conditions were strong enough to attempt to return to historically normal rates… At least those were the expectations communicated by the Fed. At the last Fed meeting, Fed Chairwoman and magician Janet Yellen indicated that the number of rate hikes may be closer to only two. Like magic, the markets rose to greet the new bullish expectations. Apparently four rate hikes was too much and two was just the right amount. The Fed has a notoriously poor track record of predicting the future of interest rates and inflation, but in this case there may be another motive. The Fed has another magic trick in their act other than changing the fed funds rate and printing money. With a few carefully placed words they can change the direction of the stock market. All market participants want to know what the Fed says. They hang of every word uttered by Fed board members. Yet what the Fed actually does is very little. One meeting they predict 4 rate hikes and the next they reduce it to 2. They have not changed any of the underlying conditions, but like magic, they have made everything all right again in the markets. It is February, and winter has finally arrived in the northeast. Not only has the weather turned cold, but so have the markets. The stock markets started the year off cold with the worst start to January performance on record and ending with the S&P 500 down -3.37% for the month. The start of February has not been great either. As I write this the S&P 500 is at its lowest levels since February 2014. 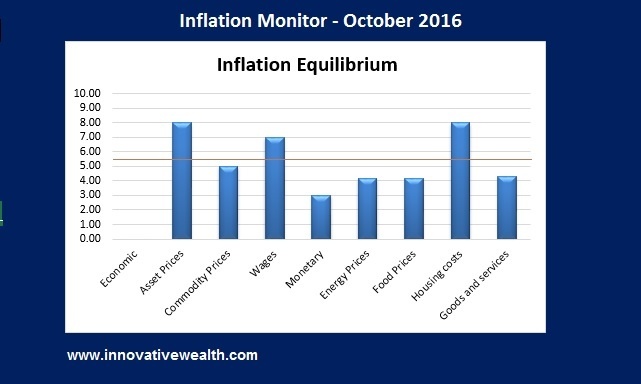 Generally this Inflation Monitor is not focused on the stock markets, but I have been wondering for the past year how long it would take for the stock market to realize that deflation was strong and growing stronger. Apparently it is now on the table since Japan lowered their interest rates into negative territory to join their European brothers. The idea of negative interest rates should be an episode of the twilight zone. It is new to almost everybody and how this plays out will certainly be interesting. What is the definition of insanity? Doing the same thing over and over and expecting different results. (this was not said by Einstein, although frequently attributed to him). Gold has finally picked up steam in the past few weeks with the metal up over 10%. Maybe it the fear of negative interest rates that is driving the flight to safety in gold. With the rest of the commodity complex still in a bear market, I doubt gold and silver prices will start a new bull market. Only time will tell, but despite the rise in gold price in US Dollars, it is important to note the price of gold in other currencies (see this below in the gold section). I mentioned this last month, and I’ll mention it again. If you have not read my 2015 recap, then now is a good time to read it. Last year the S&P 500 ended with a performance of -0.7%, which is surprising since many blue chip companies were down between -10% & -20% for the year. If you did nothing but look at the index, you would have missed the large dislocation of the index performance and the performance of the underlying stocks. The risk you should consider this year is contagion. This is the risk of assets selling off because other assets are selling off, having very little to do with underlying fundamentals. For example, if the high yield bond market continues to sell off or worse yet, crashes, then the investment grade corporate bond market may also sell off. This in turn could lead to a sell off in equities and other assets. The spread of this contagion is not knowable, but you should be aware of this risk. If you are like most investors, you probably have not heard of prohibited transactions. 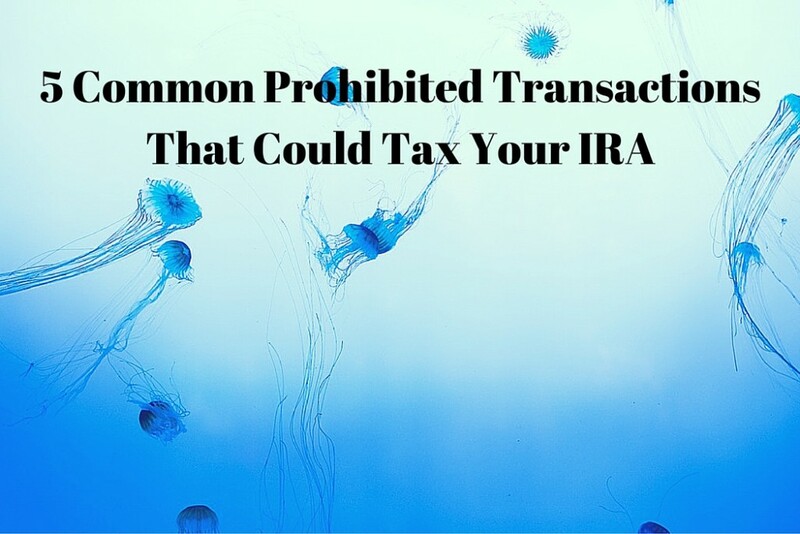 Prohibited transactions specifically apply to retirement plans such as self-directed IRAs or 401ks. 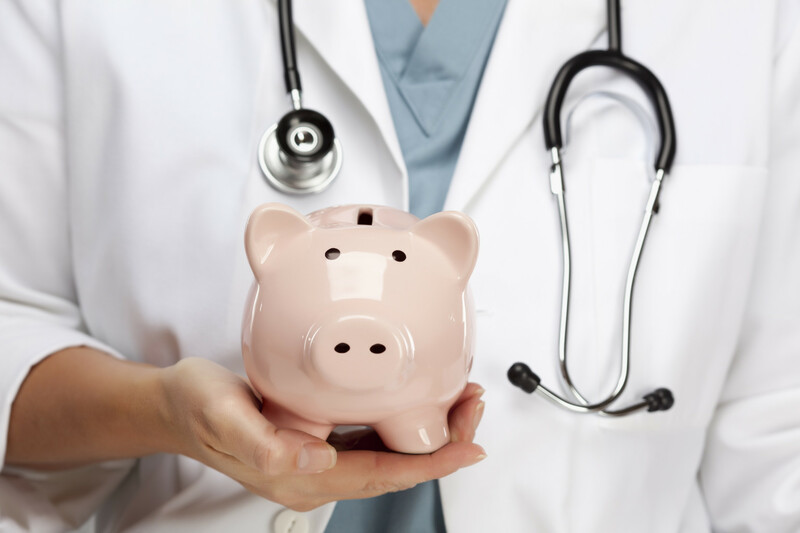 It is estimated that less than 80% of investors fully understand the flexibility that a self-directed IRA offers, so most IRA account holders won’t have reason to come into contact with this rule. If you do use your retirement plan to invest in alternative investments, then please keep reading. This is our 2016 Tax Reference Guide. We created it to make your life easier. Each year we collect this data so you don’t have to. You might want to bookmark this page for future use.